Want to co-brand iSpy for your business? Add the worlds most advanced motion detection and recording solution complete with LAN and WAN web access, alerts (SMS, twitter and Email), Windows 8 integration, iOS, Android and Windows Phone 7 support to your business with your branding for free!. Extract the files and run the executable. Using the co-brand application create your own customised installer. 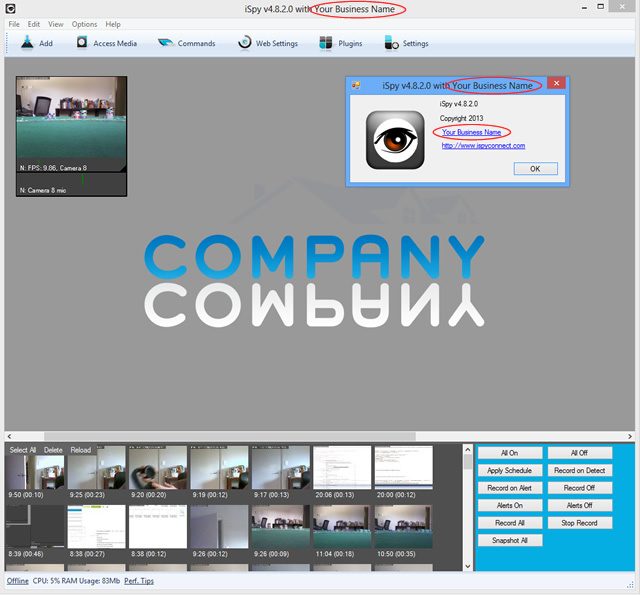 The logo can be any .jpg or .png image with a maximum size of 640x480px. 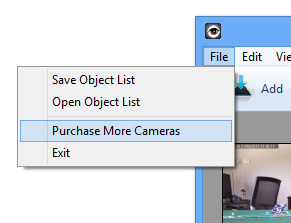 Under Configuration you can specify the manufacturer and model to pre-select in the dropdown when people use the wizard to add their cameras. Make sure they match a listed manufacturer and model from our sources list. 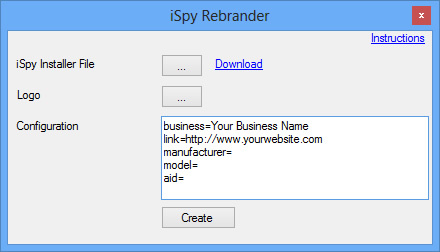 The link field tells ispy what webpage to open up when your users click on your business name or to order more cameras. Any of these options can be blank. Click Create to build a customised installer (self extracting .exe file) that you can distribute to your customers or users. The application will retain branding even if they update from our site or reinstall.